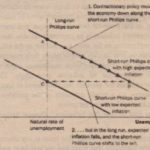 1.’ Draw the short-sun trade-off between inflation and unemployment. How might the Fed move the economy from one point on this curve to another? 2. Draw the long-run trade-off between inflation and unemployment. Explain how the short-run and long run trade-offs are related? 3. 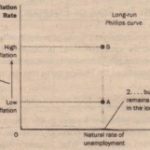 What is natural about the natural rate of unemployment? Why might the natural rate of unemployment differ across countries? 4. Suppose a drought destroys farm crops and drives up the price of food. 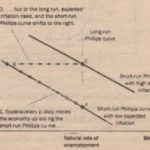 What is the effect on the short run trade-off between inflation and unemployment? 5. The Fed decides to reduce inflation. 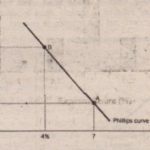 Use the Phillips curve to show the short-run and long-run effects of this policy. 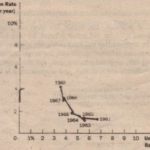 How might the short-run costs be reduced?